10945 W. SCHOOL HOUSE RD. West Limestone Media Center uses a blended schedule allowing flexible scheduling so class, small group, and individual patrons have unlimited physical and intellectual access to resources throughout the day. Our hours are Monday - Friday from 7:35 -3:15. The media center provides flexible, real, and virtual access to a wide range of informational resources. We provide access to the Alabama Virtual Library from nine Internet workstations and wireless access for student MacBooks. Students may check out two books at one time if they do not have any overdue books. The check-out time is two weeks, but students may renew materials as needed. Some reference books may be checked out overnight. Others are restricted to library use only. Recommendations for new library materials are appreciated & welcomed. Please be sure to let us know. Our Library Media Program adheres to the guidelines in the LCS Library Media Policy and Procedure Manual. 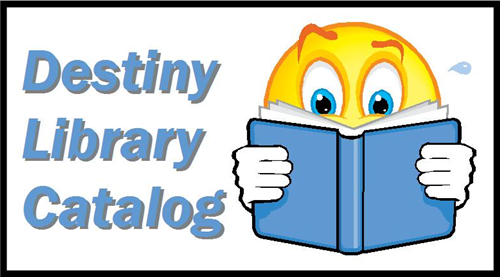 SEARCH OUR ONLINE PUBLIC ACCESS CATALOG @ SCHOOL OR @ HOME JUST CLICK ON THE IMAGE BELOW.